The business world has gone digital. Technology is changing like no man’s business. Data and IT are like twin brothers. No one can survive without the other. They are all an essential component of every business operations. Unlike the olden days, business could operate without the need of a computer, everything was done manually. But try to imagine today running a business without using IT and computer; will your business make it with the competitive business environment where every customer is looking for faster services and quality services? What about inaccuracies that come with the manual business system? Do you think customers will be able to trust you when they experience inaccuracies in your billing system? Every morning when you wake up new technology is being introduced. Customers too need reliable services. Since your entire business is dependent on you, you can do little to achieve all these. Thankfully, with the help of IT support companies, some of the luggage can be offloaded from you so that you are left with minimal worries to address. Moreover, your IT needs can be taken care of without costing you pains in your pocket. This article will highlight some of the benefits you and your business will enjoy from managed IT support services. There has been a misconception that working with IT support companies is an addition to the costs of managing businesses but this is a true myth. Try to think about how much you will spend to buy specialists hardware and software and well as the installation costs? What about training an in-house team? It is way too high than when you hire the services of a managed IT support firm. Remember, with managed IT services, everything ranging from software/hardware, installation and training of staff is the company’s responsibility. Don’t you see this is a worthy and cost-effective approach? In addition, when you consider the time you could waste when faced with a system breakdown while working with an internal-team especially when the team has other important responsibilities, you will realize the time wasted is equivalent to an income not achieved. Managed IT support services means that you are exempted from and system upgrades charges or any changes in charges and thus minimizing the cost you incur in your day to day running and managing your business. 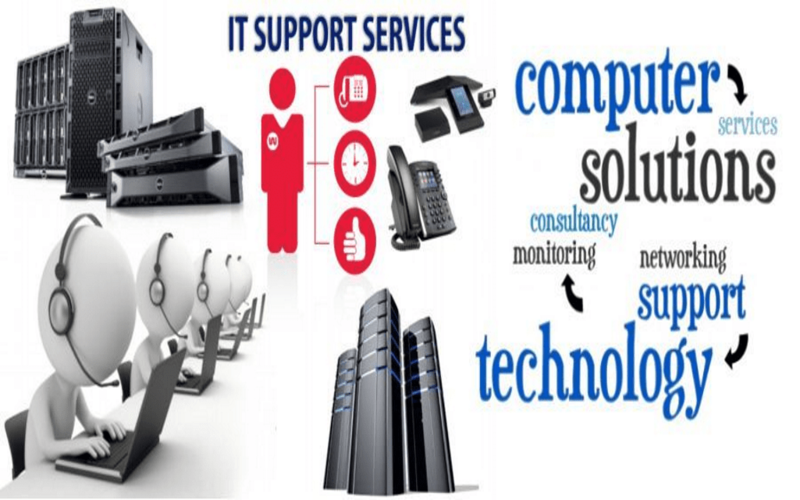 Hiring the services of managed IT support companies means enjoying the benefits of expertise in different fields. These experts have only one duty, to manage and monitor any problem that could arise from your IT systems and services, unlike you internal team who might be incompetent in the IT field or might be handling other tasks within the business. These experts are well knowledgeable in numerous areas of IT and can address an IT concerns quickly thus preventing your business from coming to halt unexpectedly. Also, Managed IT providers have a strong understanding of the IT infrastructure, with their time and focus exclusively keen to problem resolution; they are prepared for risks related to business technology. Technical work should be left to the experts. Every day, technology is changing. It is difficult for you to run your business, at the same time spend the time to understand how you can improve your IT services. Remember, the time you spend in dealing with IT support issues means other areas of your business are suffering. When you hire the services of managed IT support companies, you are giving yourself an opportunity to concentrate on improving your business rather than resolving IT related problems.